I get a lot of comments on my post about How to move to London. So far I’ve replied to them in the comment thread below the post, but I’ve been thinking the questions and answers might be useful for other people as well. 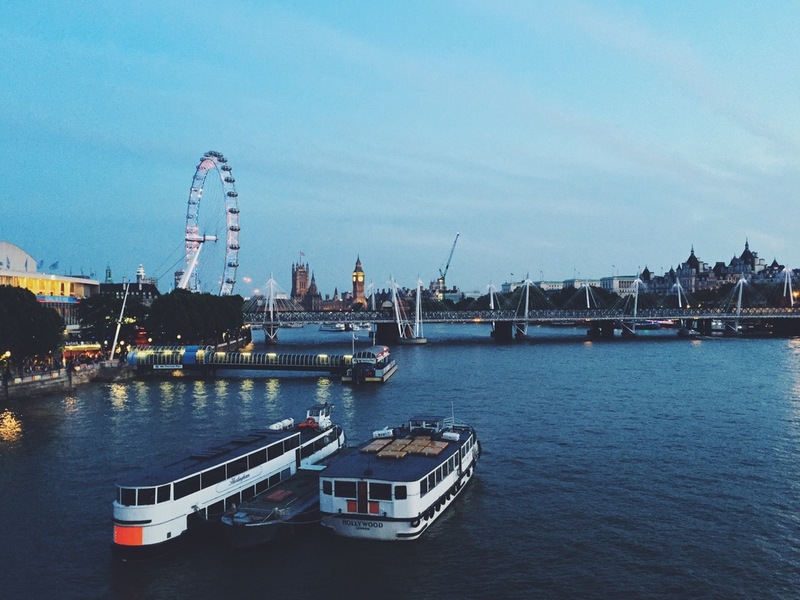 Here are a few questions and my thoughts on moving to London. If any readers out there want to add anything to my replies, please do so. If you have any advice that might help jump in and add a comment. If you’re wondering about something else, don’t hesitate to ask! I am curious how old you were (if you don’t mind sharing) when you made the move. I’m in my 30′s so I didn’t know if house shares would be as common for people in my age group and if it would still be easy to meet people. I was 24 when I moved to London, but there are people in their 30s and 40s living in shared accommodation (my flatmates when I moved here where both 30+). Because it’s such an expensive city it’s quite common for single people to share. You will find bankers, lawyers and other professionals in shared flats. One annoying thing about the London rental market is that it’s a lot easier to find your own place with a partner. If you’re happy to share a studio flat you can expect to pay around £1200+ per month in rent. Not too bad between the two of you, but a lot more difficult if you’re single. That’s why singles in the city tend to share. It surprised me too when I moved here. Although I would say, the older you are and the longer you’ve lived on your own the more tiring sharing can be. If that’s the case it’s even more important to find a flat with people who have a similar lifestyle to yours. I will be starting a new job in London in April 2014 and plan to relocate there. My job location will be near Wembley so ideally I would like to live as close to work as I can. I’m trying to workout what is the cheapest location for me that is reasonable and the area is not to rough. West London seems quite reasonable but I don’t want to be travelling for more than 20-25 minutes to work. I don’t know what your budget will be like, but for most people sharing is a good option when moving to London. It means you’ll meet some new people and if you get on with your flatmates you have a bit of a support network from the start. Do you think i should get a job for awhile and settle in or get straight to university? That’s a tough question. Do you already have a degree in mind? Do you know what kind of work you’d be looking for? In some ways the question doesn’t have so much to do with London, it’s more about what you feel like you want to do in your life at the moment. Do you want to work or study? Do you need to work for a while to save up some money? Or do you need to get a degree first? If you’re more of an intuitive person just think about what feels right in your gut. If you’re really logical write a list of pros and cons for each option. Both are good options when it comes to settling into London life. Do you have any idea of an affordable safe neighborhood to raise two teenage boys. I am supposed to start work in central london and i have no idea on where to start looking. That’s a tough one, but I’m sure there are many good and affordable areas in and around London where it would be safe to raise teenage children. I think it’s probably worth looking a bit further out, which means a longer commute for you… but more affordable and family friendly areas. Perhaps start at looking at good schools. An Ofsted report might help. Are there any schools your children might like to go to? Also some Southern and Western suburbs tend to be seen as safe and family friendly. Perhaps look at places like Surbiton and Richmond. It also depends on where you’re going to work. What would be a convenient commute for you? If you work around Liverpool Street you might want to look at places north of the city, where the commuter trains stop, if you work around Paddington then look for areas in the West, same goes for Victoria, Waterloo and London Bridge and the South. Hope that at least helps you to get started. As soon as you know which side of the city to focus on it’ll get easier. Do you have any recommendations from someone from the US? I am just recently visited, and I absolutely fell in love with London. I want to live here! What steps should I take? As well as getting a VISA and/or finding employment that could potentially sponsor a VISA. The British government has made it more difficult for people from countries outside the EU to move to the UK. The best way to get a visa is either to move to the UK to study or to find an employer who could sponsor you. If you have a grandparent from a European country you might be able to get a passport from that country, which would make it easier for you to move to the UK as you wont need a visa in that case. The British Embassy in the US might also be able to let you know exactly what you’d need to do to get a visa. Hope that helps. Good luck! It might not be easy, but if you really want to move it’s all possible. I was wondering roughly how much you had saved up before you moved. I had saved around 2000 euros and I started freelancing straight away when I arrived in London, earning around 1000 euros per month on average (I was selling stuff to media in Finland and was paid in euros). I was pretty skint during the first six months even though I was very lucky to have found a really cheap room (around 400 pounds in rent) in a shared house… I’m not sure if it’s possible to find such cheap rooms anymore. If anyone isn’t happy with me posting their question, let me know!